This is an imaginitive reconstruction of the scene, as the artist was not born until 1833. 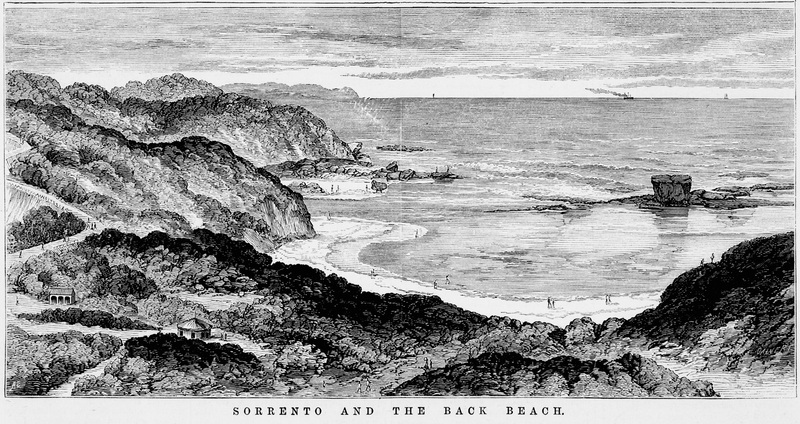 The ships arrived in October 1803, and a camp was established at Sullivan Bay in Sorrento. However, the site was not all that Collins had hoped it would be. The party had somehow overlooked the mouth of the Yarra River, and so they lacked a source of fresh water. 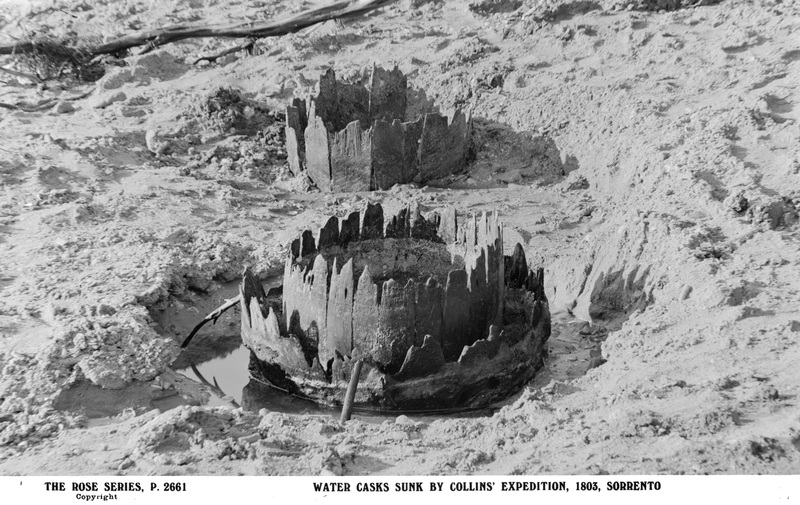 In desperation Collins’ party fashioned a filter system from barrels – whose outer chambers they filled with sand, grass and sticks – and buried them near the sea, with the tops level to the ground. 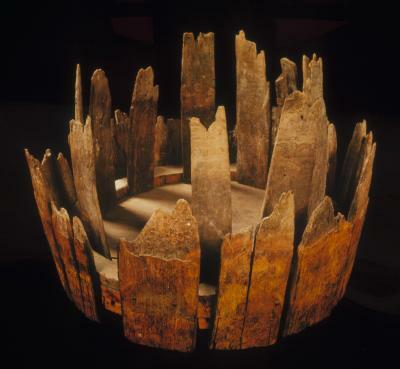 The settlers had hoped that as seawater seeped through the outer barrel chamber, the ‘filter’ would remove the salt, purifying the water. This barrel was used in an attempt to clarify brackish water for drinking. Date of use circa 1803. – Officer from the HMS Calcutta, 1803; Garden, D 1984, Victoria: a history, Thomas Nelson Australia, Melbourne, Vic. Meanwhile, pessimism was spreading through the Sullivan Bay camp. Theft was common and the marines were often drunk and insubordinate. The convicts were rebellious and a number of them – including William Buckley – escaped. According to Collins, some escapees headed ‘to a Bay upon the Coast which they have been told is … the resort of South Sea Whalers,’ most likely the present-day Portland. Collins asked Governor King if he could abandon the site, and was eventually given permission to do so. In January 1804, Collins and some of the convicts left in the Ocean for the settlement on the Derwent River in Van Diemen’s Land. If you’d like to further explore Victoria’s early history, visit the Library’s Ergo website.